Derek Kelsall is a very well known British cat designer. He is still quite active today, and is accessible and opinionated! He has been a huge innovator over the years in cruising cat design. 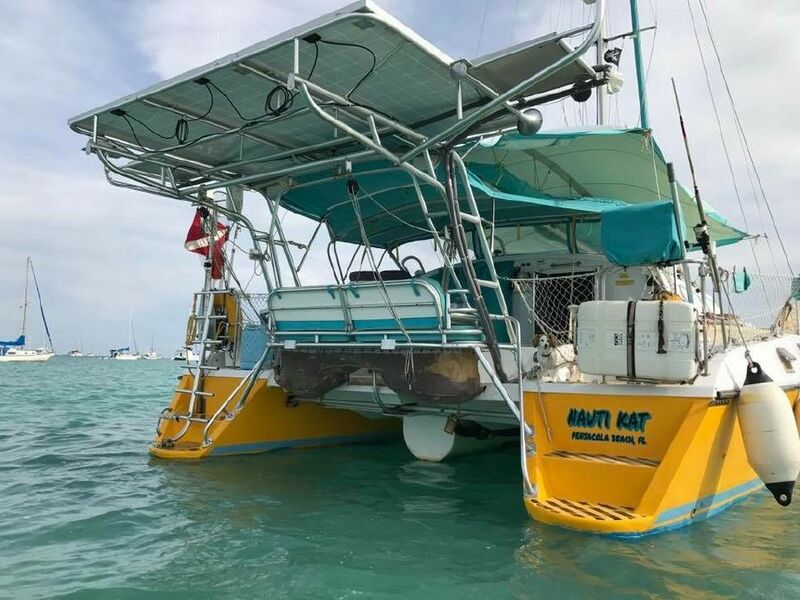 Nauti Kat is a custom-built catamaran. It was built in England in 1988 by Derek. 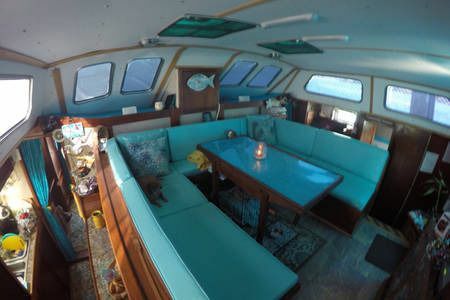 Nauti Kat is a private owner's boat, and has never been a bareboat charter boat. The boat had a complete refit 2012-2015, and has remained largely in Florida since. She has been to the Mediterranean, crossed the Atlantic Ocean, cruised the Caribbean and done the Great American Loop twice in her previous incarnation. Nauti Kat is currently US Coast Guard documented for recreational and Coast-wise commercial day charter for up to 6 passengers. 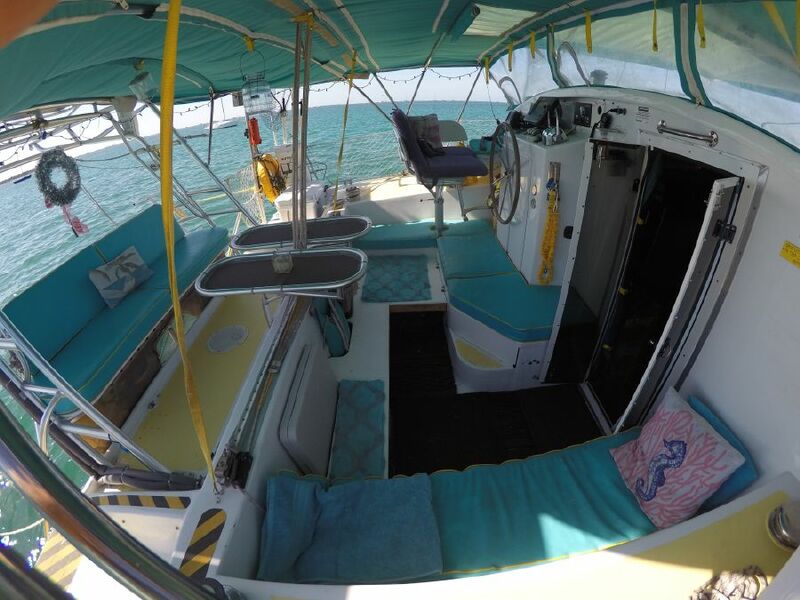 Nauti Kat is currently licensed for 14 states, USVI and Puerto Rico. This vessel has been an incredible money maker. As an Airbnb she makes $300-600 per day. 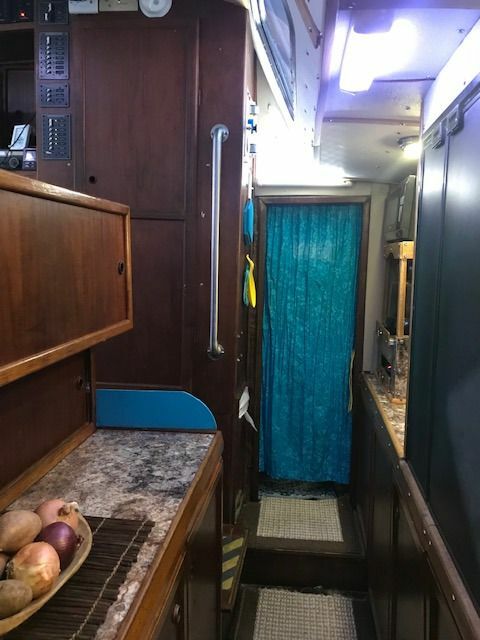 With all LED lighting, ice maker, 1 fridge & 2 freezers, 10-12volt fans, running 24hrs a day and she still has power to spare. Having 3 double berths and 2 heads plus all of the inside and outside seating makes this a very roomy vessel. This vessel is a complete turn-key, move on and start working tomorrow or sail away cat. We can include with sale complete websites and business plan if you wish to work her. This is a must-see vessel that is very well equipped.pare. 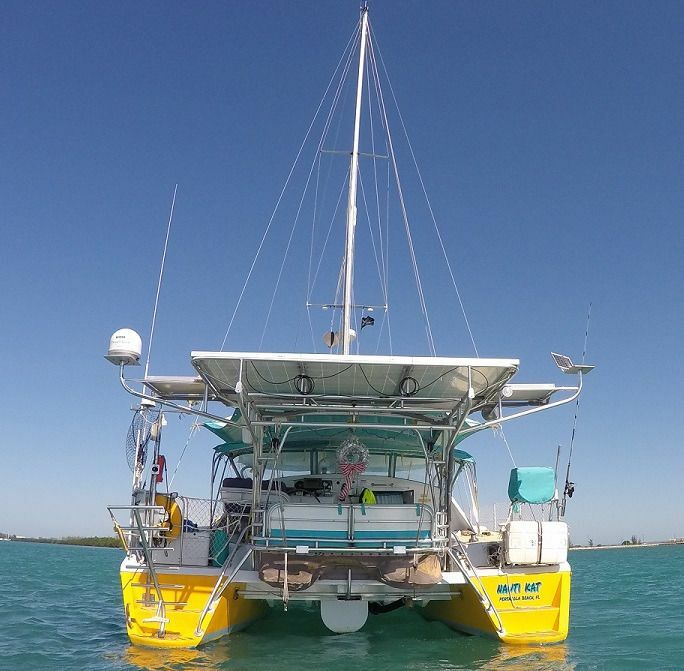 In the tropics, the boat runs on battery power 24 hours a day. 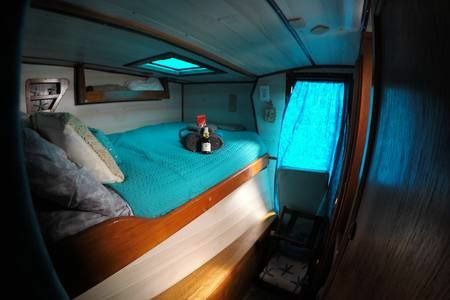 Having 3 double berths and 2 heads plus all of the inside and outside seating makes this a very roomy vessel. 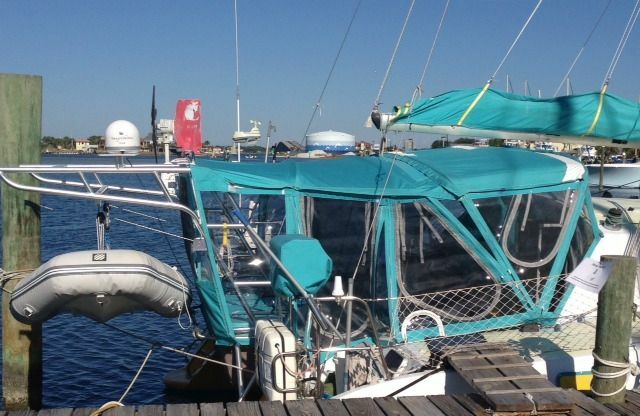 This vessel is a complete turn-key, move on and start working tomorrow or sail away Catamaran. We can include with sale complete websites and business plan if you wish to work her. 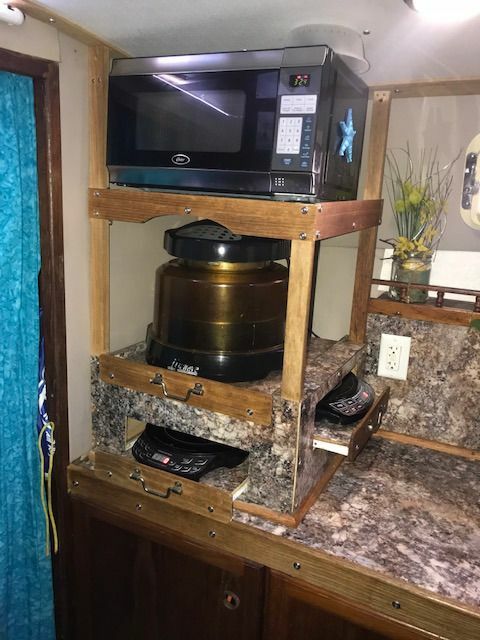 This is a must-see vessel that is very well equipped. 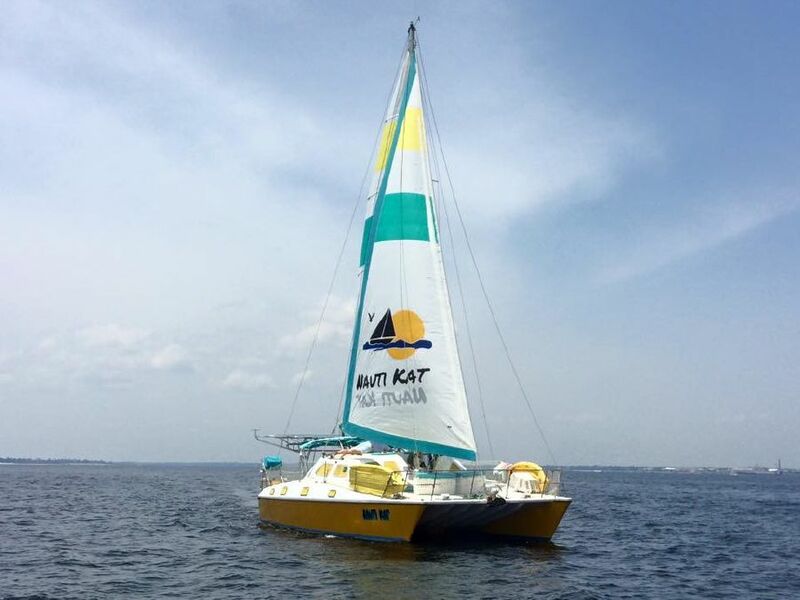 Nauti Kat is a custom catamaran that is CG documented for recreational and Coast-wise commercial charter for up to 6 passengers. 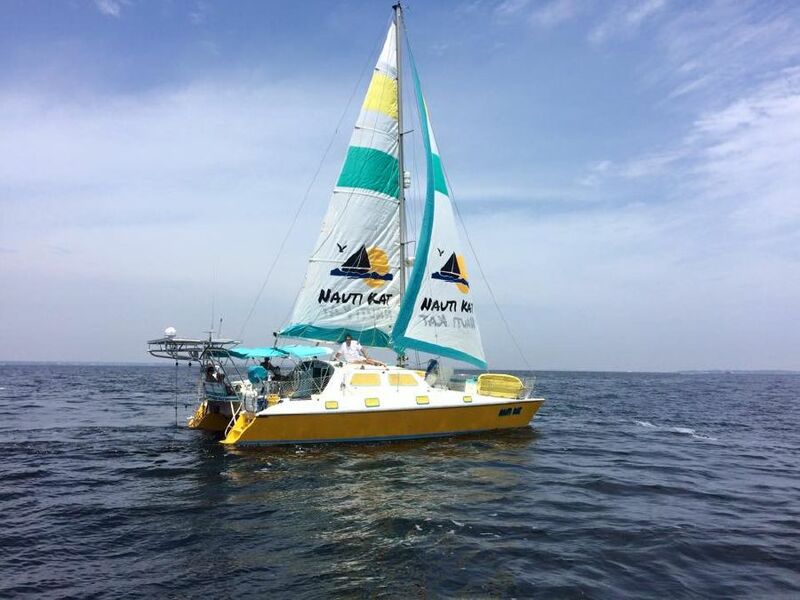 Nauti Kat is currently licensed for 14 states, USVI and Puerto Rico. This vessel has been an incredible money maker for us and will for her new owners.This vessel is a complete turn-key, move on and start working tomorrow. We can include with sale complete website and business plan. We are only letting this vessel go at this time to move up to a much bigger vessel. This is a must see vessel that is very well equipped. Nauti Kat was completely repainted 2015 with 5 coats of Awlcraft 2000 on the hull and topsides. 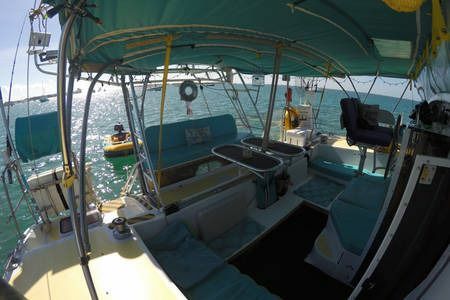 Nauti Kat was hauled out in a Key West shipyard 3-20-17 for HYD upgrade and new bottom paint. 10 opening ports w/stainless screens and PortVisor rain guards. 6- 20” x 20” deck hatches. •	Full compliment of top quality pillows, sheets, baths mats, refuse bins, etc. All of our beds are custom Memory Foam (covered with waterproof, breathable covers) w/down pillow-tops. •	Microwave, Keurig coffee maker, 2-Nuwave induction cook tops & Nuwave oven. Also included is a back up Nuwave cook top & Nuwave oven, all Nuwave pots & pans. •	CRUISE RO WATER maker 120vac, 40 gal/hr water maker (NEW 2017) also 1 year supply of filters and everything to service the water maker. •	Extended library featuring a variety of boating books including instructional manuals, travel guides, how to books & much more. •	anchor 45lb Hydrabubble and 100' 5/16” G4 Galvanized chain ( needs re-galvanized) w/150' 5/8” 3 strand nylon rode. •	Maxwell 1200 watt electric anchor windlass ( new 2015) on main anchor w/duel controls and manual windless on backup anchor.